FREDERICK, MD-On Tuesday afternoon, the Baltimore Orioles added Frederick native, Branden Kline , to the team's 40-man roster. By being added, Kline will have an opportunity to make his Major League debut in 2019. 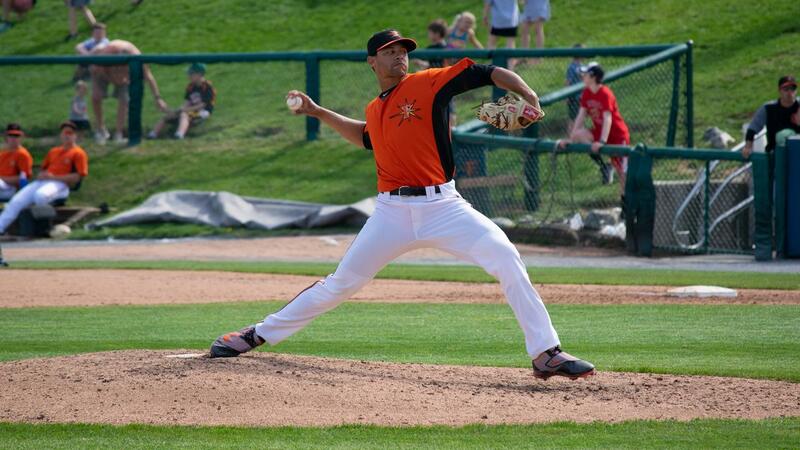 After missing the 2016-17 seasons on account of injury, Kline, 27, split the 2018 campaign between the Frederick Keys and the Double-A Bowie Baysox. In 44 total relief appearances, the former Virginia Cavalier went 5-4 with a 1.64 ERA. Over 65.2 innings, he allowed 21 runs (12 earned) on 52 hits to go with 18 walks and 71 strikeouts. He posted 17 saves and finished 34 games. Starting out the season with his hometown team, Kline went 1-0 with a 1.31 ERA and two saves over 12 games with the Keys. Posting 23 strikeouts in 20.2 innings, the right-hander received a promotion to Bowie in mid-May before finishing out the season with the Baysox. It marked Kline's first time in Frederick since 2014, when he served as Frederick's opening day starter and was a Carolina League Midseason All-Star. After moving to Bowie, Kline went 4-4 with a 1.80 ERA in 32 games with 15 saves. Among Orioles minor leaguers, Kline finished second in the organization with 17 saves. The only man he trailed was Keys closer, Tyler Erwin . A standout pitcher at Governor Thomas Johnson High School, Kline posted a 0.51 ERA his senior year while striking out 79 batters in 41 innings. Originally drafted by the Red Sox in the sixth round of the 2009 draft, Kline elected to attend the University of Virginia and was later selected by the Orioles in the second round of the 2012 draft.